Before last weekend I'd never caught a bass on a surface lure of any kind. Then I finally took one on a soft shell cicada and my boy Daniel got one on a hard Dreamfish cicada. Yesterday (21/10/16) I caught another 3 and had a 3 surface strikes that didn't hook up. So what was different yesterday? In truth it wasn't a particularly warm morning, but it was in that period where it is light but the sun isn't showing yet. Perhaps the fish were just in the mood. Probably more importantly I decided that I was going to fish with the cicada and knew the sort of areas I wanted to get them into. Probably it was the combination of all these factors that contributed to a successful couple of hours. Confidence in fishing is a big thing. 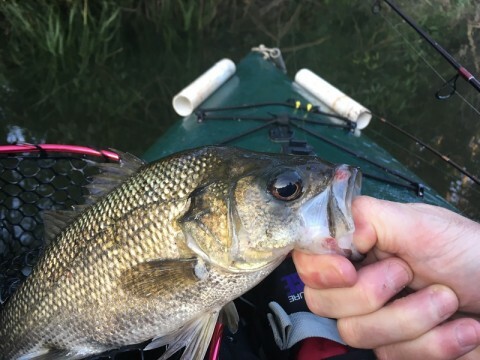 If you believe that a lure can catch fish (because it's worked before) and you keep putting it into good areas, more often than not you'll get results. It's not until you get hits on the stationary cicada that you really start to get confidence in just leaving the darn things sitting in the one place for up to a minute. All of the strikes I got were in similar situations. Either in open water under heavy tree cover, casuarinas etc, or in close among snags. 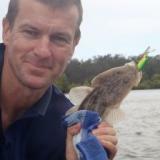 The great thing about this type of fishing is the lack of snags. Divers and jig spins will get hung up on timber occasionally. Cicadas can be worked in really shallow water over timber laden country. The only problem is what happens next, getting the fish out can be tough. 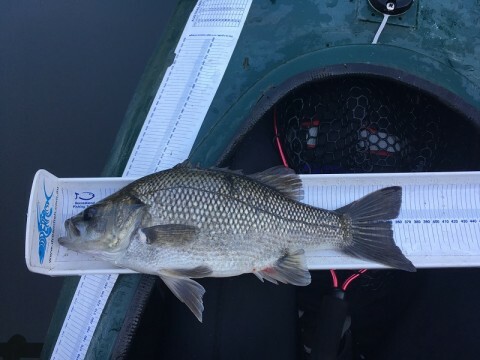 I'm starting to feel like a real bass fisherman now, and a little bit hooked on the anticipation of the surface strike, nothing quite like the shock of seeing the boof and then your brain making the connection. Great stuff!